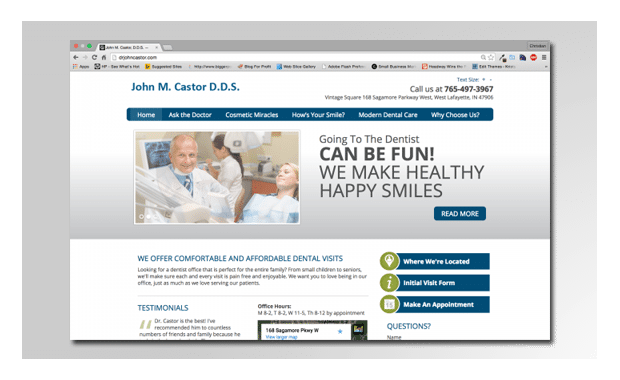 One of our many long-standing clients, Dr Castor has established a reputation for being the most comfortable and caring dentists you’ve ever been to see. Having met him (and yes, having been a patient for many years), I can personally testify that his reputation precedes him for good reason. If your business depends on word of mouth and referrals (as most should), keep in mind that your website is given out 17 times more often than a phone number or physical address. We’re privileged to be able to help Dr Castor continue to spread the word.